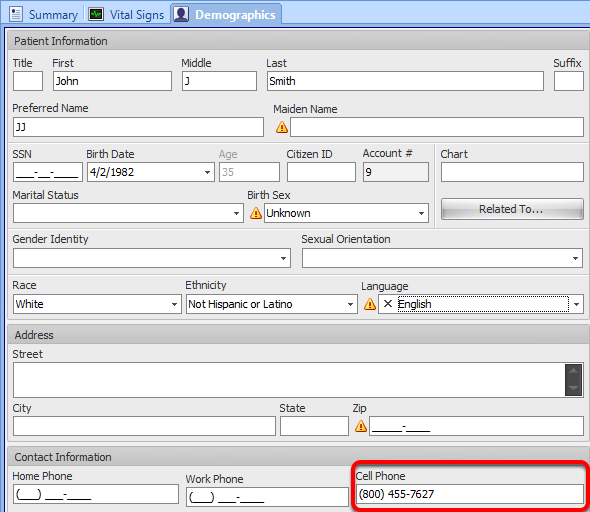 Q: How do I enroll a patient in myHEALTHware using a text message? Based on feedback from our users, SOAPware is announcing the new alternative enrollment options for myHEALTHware! Follow the instructions below to enroll patients using the desired enrollment option. Click the myHEALTHware icon located on the patient chart tab. Click the Smart Phone icon. Enter the patients text capable phone number. The patient will receive a text message that says: "(Clinic Name) has invited you to connect on https://myhealthware.com. Sign up with access code: ######". Once the patient is ready to complete their registration, they should pull up an internet browser on their computer and go to https://myhealthware.com. They will then follow the steps detailed in the "4. Patient: Accept Text Message Invitation" step below. From the myHEALTHware website, patients will click on the Accept Invitation button that is located under the Log In boxes. 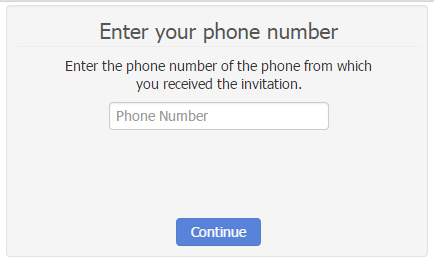 The patient will enter the phone number from which they received the invitation. 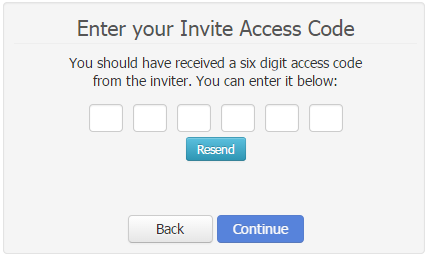 Next, the patient will enter the access code that they received in the invitation text message, then click Continue. 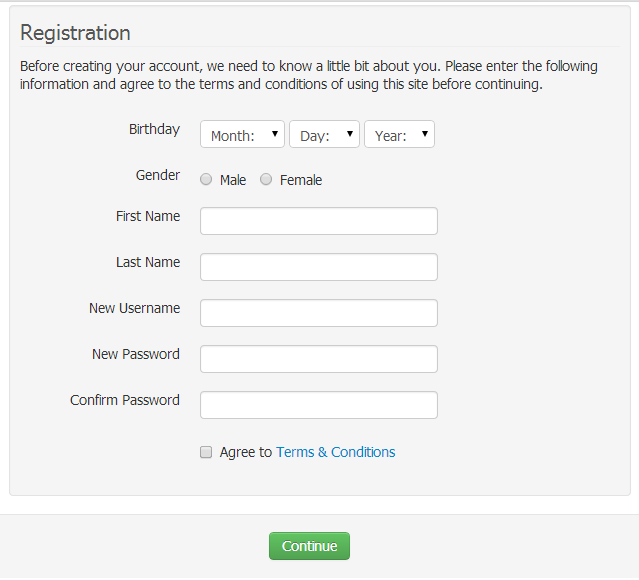 Sign Up with myHEALTHware by creating a new account. Clicking the Sign Up button will allow the patient to create a new myHEALTHware account. This will also connect their myHEALTHware account to their SOAPware chart. The patient must also read and agree to the myHEALTHware Terms & Conditions. After completing this information, the patient should press the Continue button to proceed. 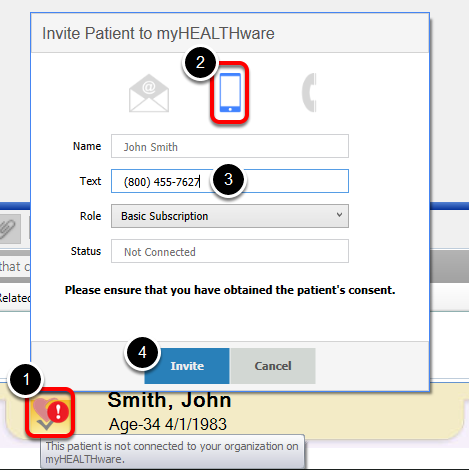 Clicking the Log In button will allow the patient to enter their existing myHEALTHware user name and password and connect their existing myHEALTHware account to your clinic's organization and their SOAPware chart. After completing the registration process, the patient will log in to myHEALTHware. 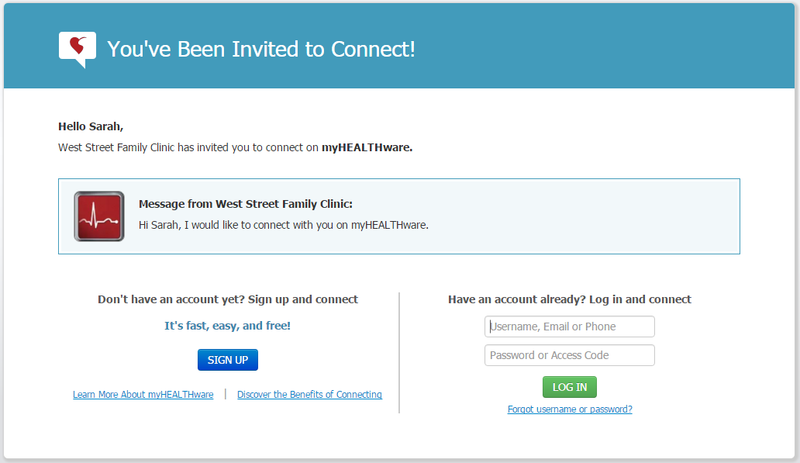 The patient can also log in to myHEALTHware by entering their new user name and password at www.myhealthware.com. Congratulations! Your patient is now connected to your myHEALTHware organization. Once the patient is connected, the myHEALTHware status will display the Connected myHEALTHware icon (see the screen shot above). You can now send communication to this patient using the Start a New Conversation feature. In addition, you can upload a Medical Summary for your patient to review as documents are signed off.